Health Canada Warns Consumers Not to Use the Unauthorized Product "RevolutionDS Weight Loss"
OTTAWA, ONTARIO--(Marketwire - Dec. 24, 2009) - Health Canada is warning consumers not to use "RevolutionDS Weight Loss", an unauthorized health product promoted for weight loss, because it contains benzylpiperazine (BZP), and may pose serious health risks. Currently, BZP has no known therapeutic use. While BZP is frequently claimed to be a "natural" substance, it is a synthetic substance. It may cause effects such as increased body temperature, increased blood pressure, dilated pupils, increased euphoria, alertness and paranoia. Health Canada is currently assessing whether BZP should be added to one of the schedules to the Controlled Drugs and Substances Act (CDSA). Such a decision would mean that all activities with BZP, e.g. possession, importation, exportation, distribution, production, etc., would be illegal unless authorized by regulation. 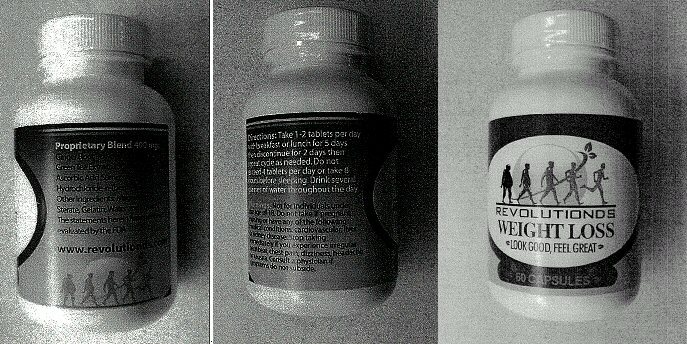 The recommended doses on the labels of the products (1-2 capsules) and recommended maximum daily dose on the labels of the products (4 capsules) will expose consumers to levels of BZP that have been associated with serious and life-threatening health consequences, including a Canadian report of cardiac arrhythmia (abnormal electrical activity of the heart) that was reported associated with the use of "RevolutionDS Weight Loss". BZP could also negatively interact with other substances, such as alcohol and prescription drugs. Scientific data also indicates that BZP has abuse potential because of its amphetamine-like effects. "RevolutionDS Weight Loss" is distributed by http://revolutionds.com/. The listed contact on the website for the product has not been forthcoming in providing all required information to effectively recall the unauthorized product. Canadians who have used "RevolutionDS Weight Loss" and are concerned about their health should consult a health care practitioner. Consumers requiring more information about this warning can contact Health Canada's public enquiries line at (613) 957-2991, or toll free at 1-866-225-0709. Some of the graphical elements in this Warning might be subject to copyrights, trade-mark or other protection held by other organizations. Some restrictions on the reproduction of materials or graphical elements may apply and it may be necessary to seek permission from the rights holder prior to reproducing such material.